Please arrive by 0945 as it will be first come, first served. Late arrivals have no guarantee of a game! Members and visitors especially please note. Growing numbers mean we are often full for 'roll-ups'. Fee 10 Euros for visitors includes hire of bowls. Bar adjacent! Full fixtures here. Weekly results and league table will on the Results page. 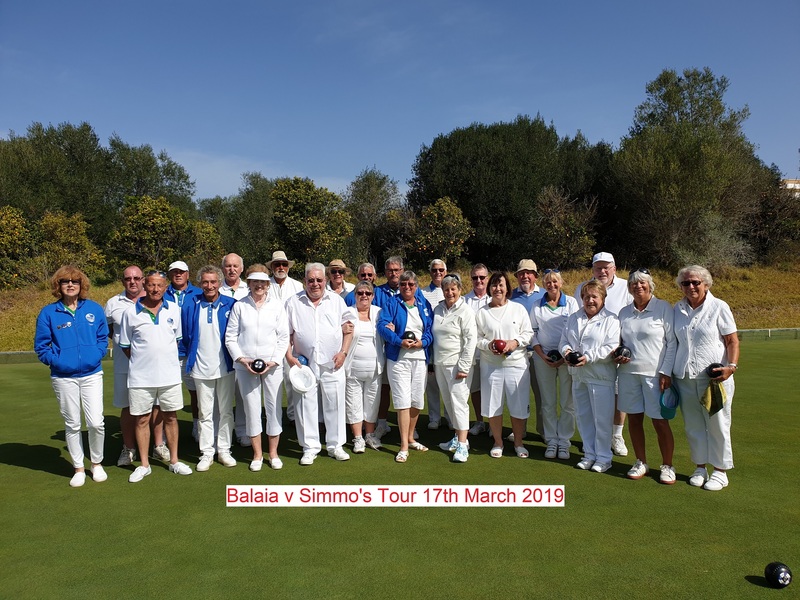 Touring Team fixtures Spring and Autumn 2019- the full list is here. TOUR MATCHES SPRING 2019 - CLICK EACH PICTURE TO SEE THE LARGER SIZE - MORE TO COME! the original picture size varies! 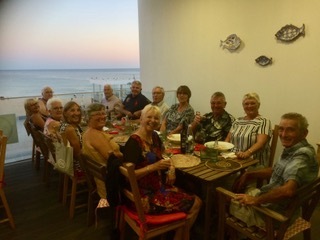 Members enjoyed a light meal and a quiz night at Adega do Zé in Torre da Medronheira near Albufeira. 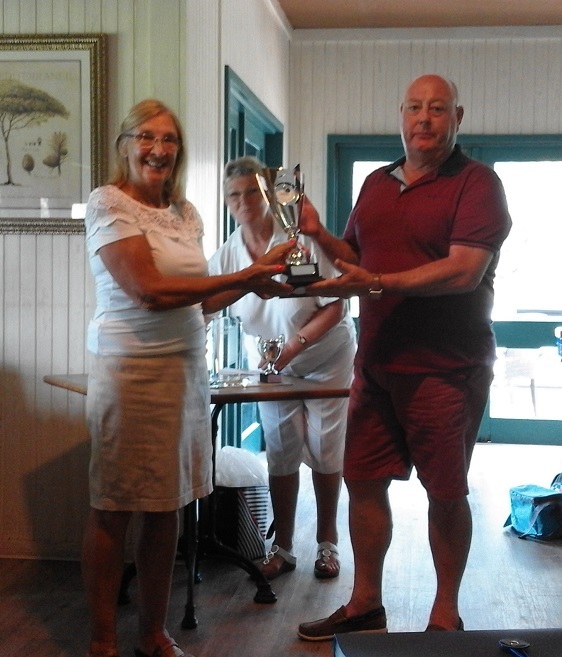 The winning table, below, was Tom Allen, Keith Johnson, Jean King, Roy Impey. Thanks to Julie Sanderson for the organisation and to Alan Camplin-Smith for the suitably challenging quiz questions. Click each picture to see the larger size. Light was not good! LAST ROLL-UP OF 2018 - FESTIVE SPIRIT WELL AND TRULY ALIVE! 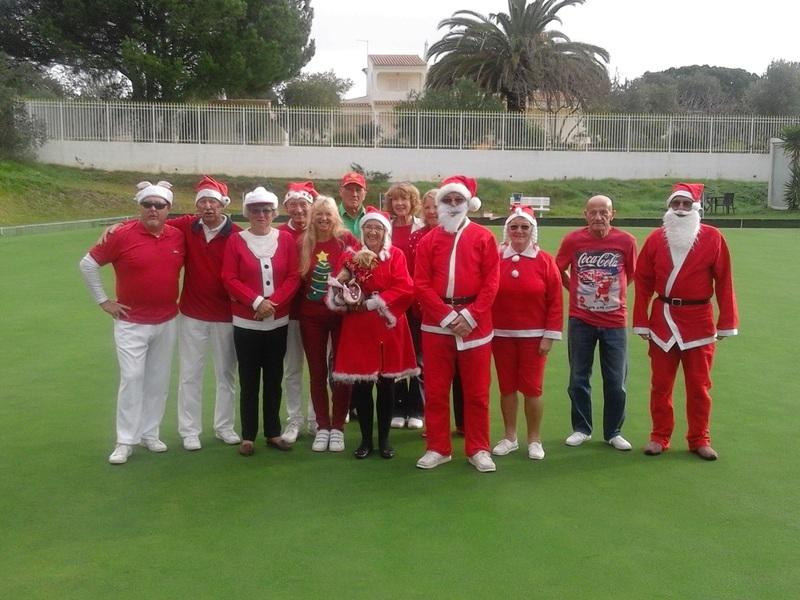 Thanks to Jean King for photos from the evening when members met Santa! Click here to see them. Will open a new tab or window. Click a picture to make it larger. TOURING TEAM PICTURES FOR AUTUMN 2018 HERE - CLICK EACH PICTURE TO SEE IT FULL SIZE. The last few months news and events will be on this page. For photos from events in late 2016 and 2017, please click here. A very pleasant evening, even if the sea was a little rough at times! Some of us did get a bit wet. Click a photo to see it full size. 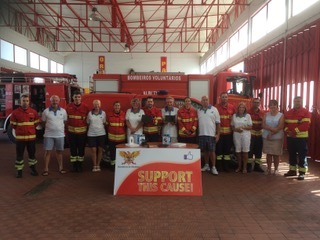 A presentation took place to show the two 'tablets' purchased by the Bombeiros following a donation of €1,000 raised by the club. Also purchased were two in vehicle chargers and two windscreen holders. These will be useful additions to the firemen's equipment. The second picture shows members enjoying a dnner out the following evening. 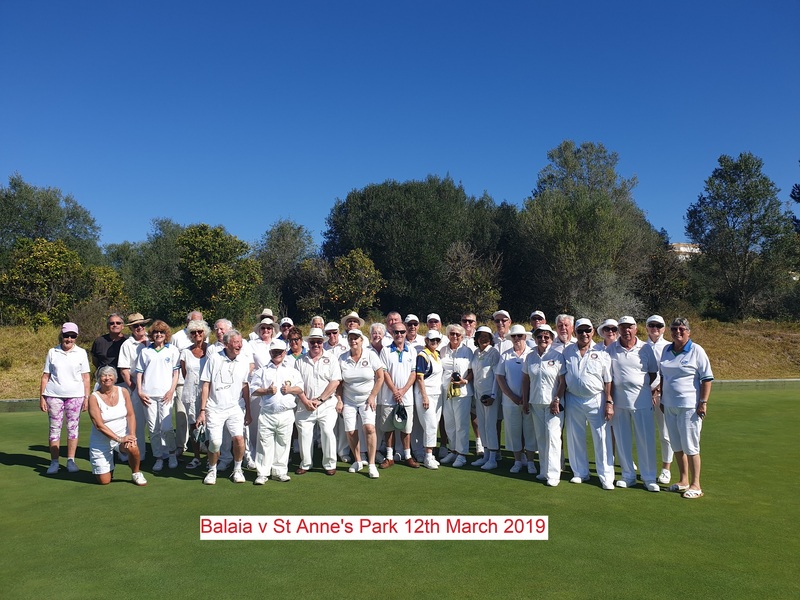 An exciting but often very tense finals day saw Balaia going into the last game of the summer season with a five point advantage over nearest rivals Pedras Panthers. 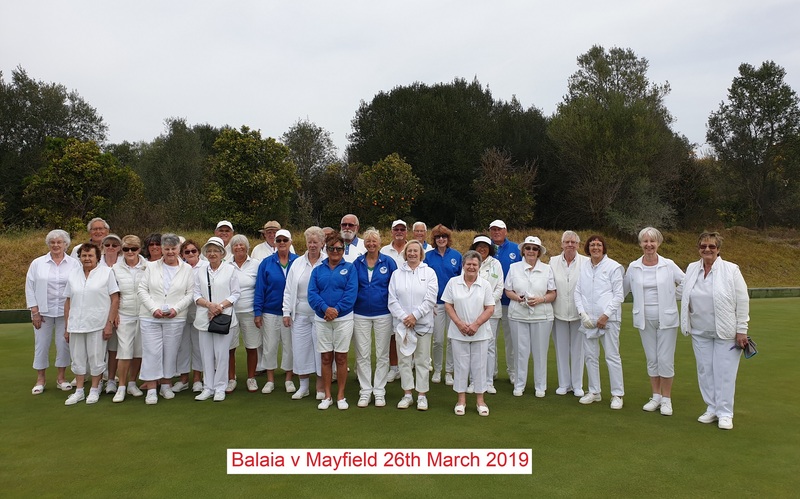 Six points would given Balaia their first trophy, but it was not to be. Although Panthers dropped a set and tied another, but despite best efforts Balaia gained only two points from one set won. Thus the teams finished level on 47 points. Panthers took the title on shots difference across the season. Nevertheless our players can be proud of what they achieved. Now for the winter season! Final League table here. There is a selection pictures from the day here - will open in a new window or tab. Click each picture to see it in a larger size. if anyone wants the massive full sized version of any of them, send the picture number (eg 001, 002) to me webmaster@balaiabowls.org and I will send it to you. They are around 9Mb in size or 18 megapixels. SPAIN TOUR 2018 - GROUP PHOTO AND ONE OF FRANCES REYNOLDS WITH THE CUP! 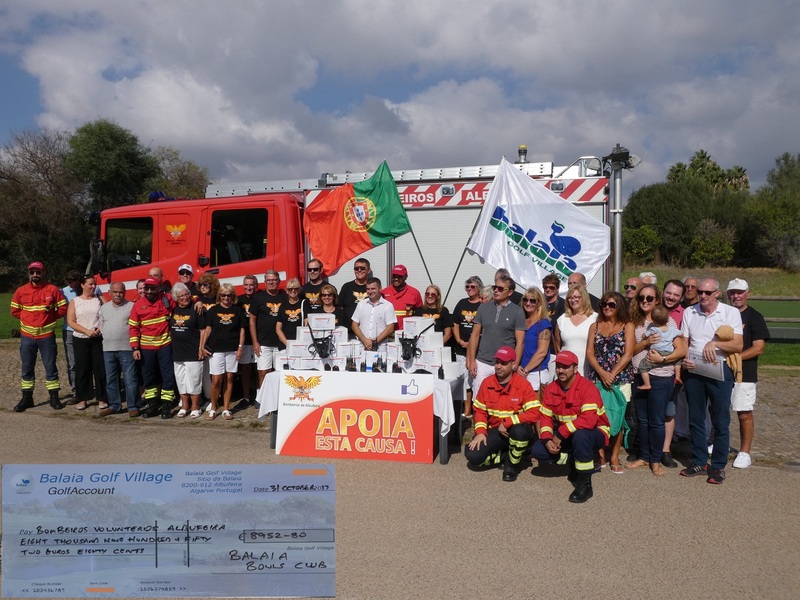 Well we did it – we have raised just over €10000 this year for the Bombeiros thanks to a collection pot at the Wander Inn pushing the total this year to €10,055!!! 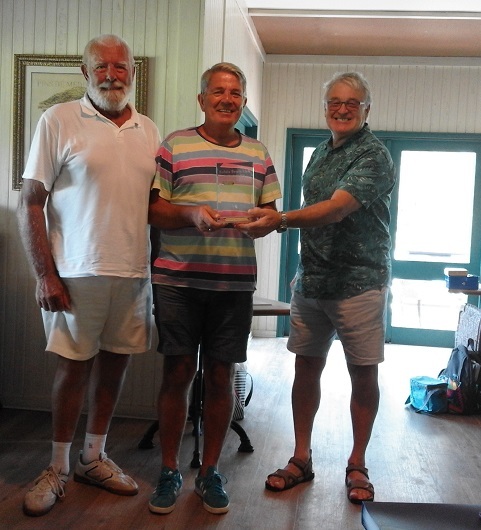 The formal presentation of the monies raised at the 24 hour bowls marathon took place at the club. One picture below, more pictures here - will open a new window. . The cheque represents the money raised from the 24 hr bowling marathon, €8022, plus €930.80 raised through spiders, swearbox etc. We had already donated €1103 earlier this year thus bringing the total to €10055.